Headquartered in Oakland, California, Kaiser Permanente is one of the nation's largest not-for-profit health plans, currently serving approximately 9.5 million members. Founded in 1945, their mission is to provide high-quality, affordable healthcare services and to improve the health of their members and the communities they serve. Care for members and patients is focused on their total health and guided by their personal physicians, specialists, and team of caregivers. Their expert medical teams are supported by industry-leading technology advances and tools for health promotion, disease prevention, care delivery, and chronic disease management. Learn more at: kaiserpermanente.org. Kaiser Permanente needed an interactive training program that would help train doctors to use the Brief Negotiation Method, a Kaiser Permanente-developed approach for discussing weight management with children and their parents. They needed a way to help doctors. understand and use the approach, which contributes to the patient's understanding of their choices and leads to improved patient outcomes. Due to the nature of the training, soft skills, and communications, an interactive, branching role-play was necessary. 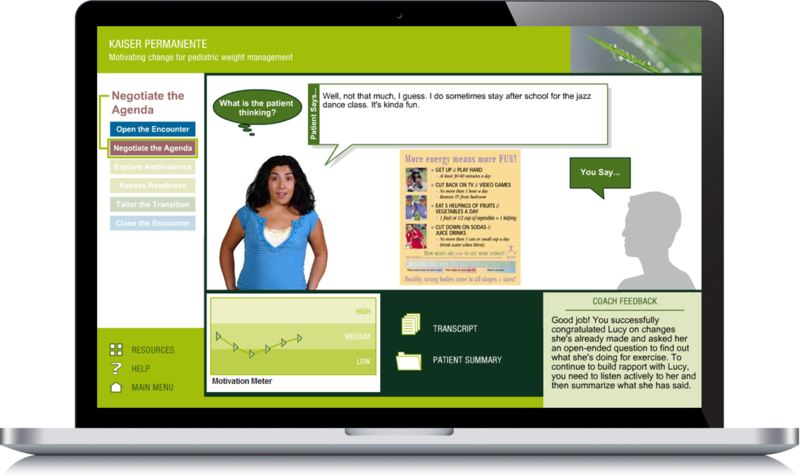 Together, Allen Interactions and Kaiser Permanente designed and developed a context-driven, interactive role play e-learning course. Doctors were put in simulated environments with potential patients and their parents. They were given a number of conversations to experience, where they received realistic feedback and consequences that included facial expressions, the difference between what a patient was saying versus what they were thinking, and patients becoming silent or even leaving their appointment early. Need learning design inspiration? 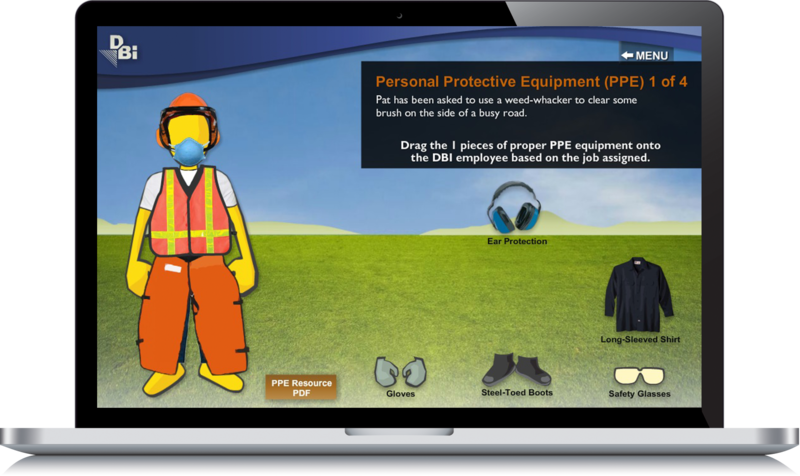 Check out our e-learning examples!